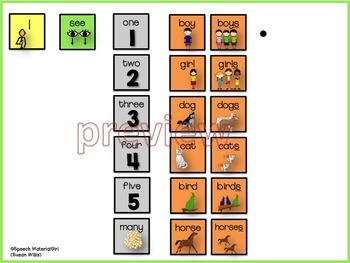 SPEECH THERAPY. 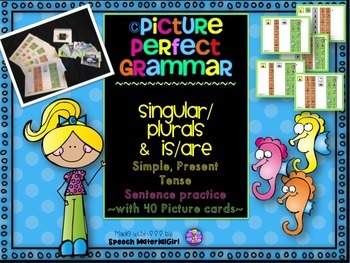 This is a ©PICTURE PERFECT GRAMMAR activity. This product in the series focuses on the singular/plural form of a noun, in a present tense sentence. 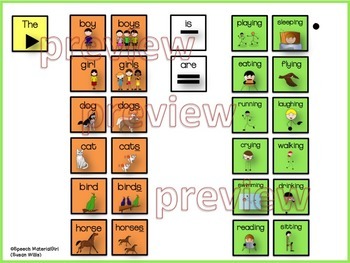 with attention challenges, non-verbal/minimally verbal, reading challenges, etc. 40 picture cards (3” x 5” approx.) to be used with boards. BONUS: Envelope template for you to make an envelope to hold the picture cards.